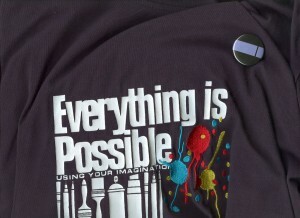 How many times have you heard the saying that “everything is possible”? It’s bandied around freely, and people think it’s a nice platitude, but not really true. But is it? As long as something is conceivable within the reality of this universe, is it actually possible? Obviously, if you think it’s not possible, then it is. Assuming that something is impossible makes it so, because you will not struggle past the obstacles that seem to make it so. Your creativity will shut off, you won’t waste your time planning to achieve something deemed impossible, and you won’t commit resources or effort toward fruitless results. But what if you think, or at least hope, that something is possible? 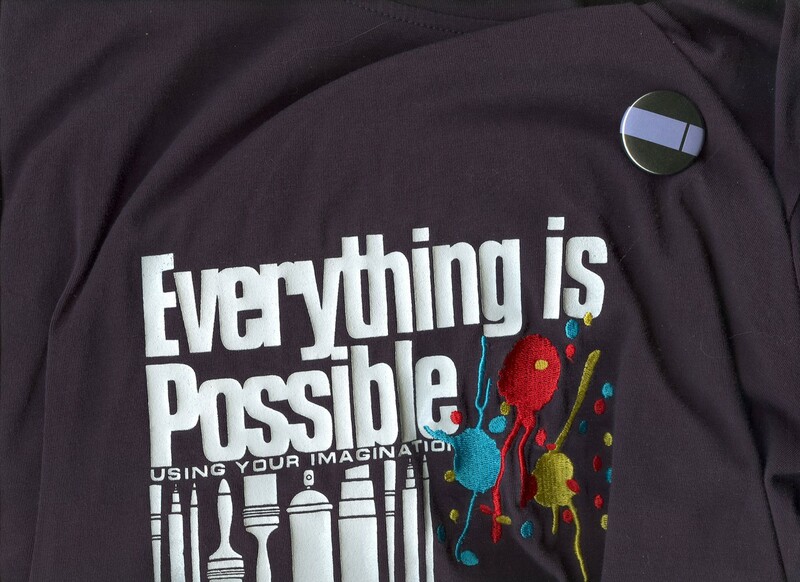 Here are the things I think are required to make “everything is possible” come true. Be warned though—it’s not easy. The first thing you need is some imagination. Role playing games (RPGs) combine imagination and possibilities in an interactive and engaging way. Where else could you be a wizard, a vampire, a cyborg, a mutant, or a soldier of fortune traveling from one exhilarating adventure to another, across the seven continents, under the sea, throughout outer space, back in time, in the future, or in alternate universes? RPGs have largely become a computer-based experience now, with games both on disc and across the Internet. Some computer games offer a very interactive experience, but many fall short (related article: Inside the Minds of Gaming’s Master Storytellers). Maybe I was spoiled by my earlier experiences, but most computer-based games don’t hold my attention for very long. When I was a freshman in high school, a good friend of mine, Greg, would lead a group of friends, including me, on wild adventures during lunchtime. We wandered the hallways or sat in out-of-the-way corners eating and avoiding bullying upper classmen (the bane of most freshmen’s existence). At least, that’s what our bodies were doing. Meanwhile, our minds would be off on thrilling adventures, fighting zombies, dragons, and other mythical creatures. We didn’t use computers or even dice. Greg would imagine situations and describe them to us. We would improvise based on whatever he threw at us, coming up with plans to dispatch the evil creatures, capture the treasure, and win the hearts of rescued maidens. There was no place we couldn’t visit through Greg’s and out collective imaginations, and nothing we couldn’t do (unless Greg told us we weren’t allowed to do it within the storyline). During my college years, I regularly ran RPG campaigns for groups of friends, mostly Cyberpunk 2020 (defined) and Paranoia (defined). I occasionally played AD&D and other games that my friends ran. These were more structured games with rule books, dice to determine outcomes, and sometimes pre-scripted adventures. However, the freedom to dream up new adventures, act as a character in a fantastical world, and do things a good law-abiding citizen would never do (like blow up the headquarters of an evil major corporation) still made them a lot of fun for everyone who played. Imagination should not always stay locked up inside the head though. I loved the experiences of visiting the desert planet Tatooine, the forest moon of Endor, and the capital of the Empire in the Star Wars movies. I enjoyed flying through the night sky on the bicycle with E.T. and Elliott. I was amazed at the underwater worlds of The Abyss and 20,000 Leagues Under the Sea. My heart tugged when WALL-E offered EVE his the little green plan. These worlds were brought to life through the imagination and skills of writers, directors, editors, actors, animators, special effects crew, and countless others. By bringing dreams to the screen, there is no place we cannot visit, no person we cannot be, and nothing we cannot do. Most big ideas need commitment from others to become a reality. Unless you fully believe in something, it is nearly impossible to convince others to believe in it. With belief, you can weather the doubts, scorn, and ridicule you are likely to face attempting to turn your dream into a reality. You have to believe in your dream first before anyone else will. Without belief in your vision, you will likely lose your resolve as soon as you face resistance. It takes belief to give your dream a solid foundation that will withstand the forces trying to sway you into giving up on your dream. You have to know in your heart that your vision is important, maybe even that lives will be improved and the world will be a better place because of it. Whether it is inventing a new fastener like a zipper, or sending a man to the moon, there are going to be obstacles, and the more stubbornly you believe in it, the more likely you are to overcome them. Planning is vitally important to the success of achieving a goal. Something almost magical happens when you take an idea and put it in written form. Sometimes it helps you spot problems you never envisioned. Other times, it helps you see how to get around obstacles blocking your progress. It almost always strengthens belief in and resolve toward reaching achievable goals. By this stage, your vision should be achievable. You just have to follow the plan, making changes to the plan as necessary. I tell this story to illustrate the truth of the statement I heard long ago in the Army: Plans are worthless, but planning is everything. There is a very great distinction because when you are planning for an emergency you must start with this one thing: the very definition of ’emergency’ is that it is unexpected, therefore it is not going to happen the way you are planning. Planning is, of course, critical to the next step in the process: obtaining needed resources. Without a solid plan, most people are going to be highly skeptical of your idea. Your plans, whether drawn on the back of a napkin or printed on glossy paper and bound professionally, are the only thing other people will be able to judge your vision by until it becomes reality. Don’t get bogged down in the planning stage, however. Plans always have to be changed as the situation changes. Planning is a constant process, not something to complete once and move on. It takes more than a believable vision to create new things, inspire new ways, and open new doors. You also need resources, whether that means investments of money or time, real estate, scientific research, or other tangible or intangible assets. Walt Disney said, “I could never convince the financiers that Disneyland was feasible, because dreams offer too little collateral.” In the case of a moonwalk, there’s no escaping the fact that money and a lot of people are going to be required to achieve such a lofty dream. Accidental discoveries aside, most of the important things occurring in history have come about only after enough people invested in the idea. Columbus did not discover the New World without first petitioning several leaders of the Old World for funding and supplies. Michelangelo did not create his masterpieces without receiving support from his patrons. Leonardo da Vinci, Thomas Edison, Benjamin Franklin, Thomas Jefferson, and George Washington Carver did not turn their ideas into results without investing time and money into prototypes and failed experiments. It can be argued that this is the way it should be, though. The more likely something is to make a difference in life, the more important it is to be vetted by many people. Obtaining necessary resources is one way of measuring an idea’s worthiness and timeliness to be implemented. An idea backed with strong belief that cannot obtain the necessary resources is usually an idea that is so revolutionary that it is ahead of its time, so poorly conceived that it shouldn’t happen without more thought, or just not interesting to enough other people. Even the simplest ideas usually need time and effort to become reality. People who believe that “not everything is possible”, probably ignore this fact or don’t realize it. Nike’s slogan, “Just Do It”, is probably the second most important requirement other than the initial idea. Unless your plan relies exclusively upon Chaos Theory randomly bringing about all the elements needed to reach your goals, you are going to have to roll up your sleeves and eventually get to work on your project. The self-help and motivational expert, Anthony Robbins (about) says “A real decision is measured by the fact that you’ve taken a new action. If there’s no action, you haven’t truly decided.” Further, he believes that “action is the foundational key to all success.” Think about it. If you never take action on your dreams, then they are nothing more than good ideas waiting to happen. Since nobody else is likely to pick up your ideas and do something with them, it is up to you. Of course, truly great ideas are usually dreamed of by many people, and eventually someone else might follow through. How will you feel when your great idea suddenly becomes someone else’s great idea. Probably the two most common reasons people don’t act is because of inertia and fear of failure. Inertia is a big problem for many people. Change is often uncomfortable or even painful. If your vision requires some type of change—a change in your schedule, your finances, your friends’ perceptions of you, etc.—then you are likely to avoid the likely discomfort of those changes. Until your belief in the value of your idea is greater than the perceived discomfort of change, or until your current situation becomes more unbearable than changing things, you are unlikely to take the action necessary to carry out your vision. Let’s face it, it is intimidating to try something new and unproven. There is always a risk that you might not get it right and you will fail. Robbins states, “You might say, what if I screw up? Then screw up big! Go for it! Do a big screwup!” One of my junior high school band teacher’s favorite expressions was, “If you’re going to make a mistake, make it a funky one.” Every mistake leads you closer to success. Thomas Edison remarked, “Many of life’s failures are people who did not realize how close they were to success when they gave up.” Don’t look at failures as bad things, but milestones on the route to success. Unless your vision is something that is a one-shot-only deal, you are probably going to need to make several attempts to achieve it. Usually your plan will show that there are several steps that have to be taken to meet your goal, and often those steps will have to be repeated. Practice is making mistakes, learning from them, and trying again. Practice is finally doing it right, and then trying to do it right again. And then again. Doing something enough times that you can achieve or exceed your goal every time you attempt it. Michael Phelps (about) did not become the greatest Olympic athlete ever by hopping into the swimming pool one morning and winning a race. It involved countless mornings, afternoons, and evenings practicing. He swam until his muscles ached, and then he swam farther. He lifted weights and did other activities that supported his body to meet his goals. Steve Jobs backed many companies, and lost a lot of money, while seeking to repeat his success with Apple Computers. He eventually found his success in Pixar, but without those other attempts, it is unlikely that Pixar would be where it is today, and certainly Jobs wouldn’t be where he is. As long as you aren’t trying to do something impossible according to the natural laws that govern this universe, everything is possible. But that is a major oversimplification. First, it takes imagination to come up with the idea. Next, it takes belief to turn inspiration into vision—something is achievable. Planning is the next step, because without a plan you will only make it to your goal by happenstance, and you might not even realize it once you arrive! Planning is also key for the next step, which is obtaining and committing resources to implementation of your vision. The fifth step, but one of the most critical, is to take action; without action, nothing is possible. The final step is practice. It’s highly unlikely you will achieve your goal on the first attempt. Through practice and repeated attempts, you will gradually move closer to your goal, until you finally make it there. What about luck and good timing? Purely random circumstances can sometimes help you along, but if your idea is important and you believe in it, why risk it to happenstance? Successful people make their own luck and create their own circumstances in life. If you do the same, and you follow these steps, I don’t think there is anything that you cannot accomplish! Dream it! Believe it! Plan it! 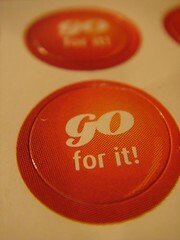 Commit to it! Do it! Practice it! Enjoy it!